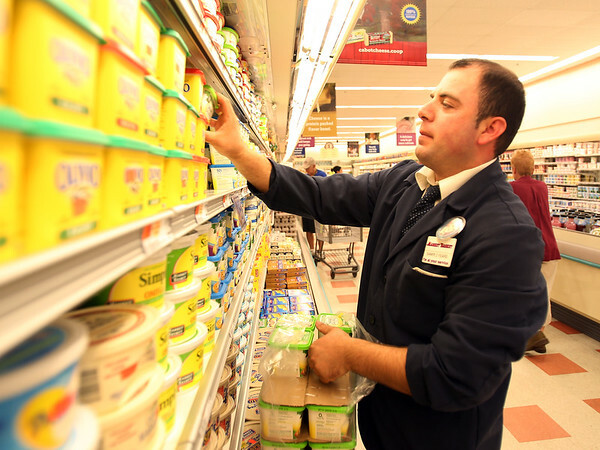 Market Basket worker Samir Jakupi restocks the butter section in the Highland Ave Market Basket as shelves inside were almost fully stocked on Thursday morning. DAVID LE/Staff photo. 8/28/14.